The Fairfield Inn Macon West hotel combines comfort, style, functionality and great value. Ideally located near Wesleyan College, Macon State and Mercer University. Our Macon, GA hotel is also close to Boeing, Robins Air Force Base, YKK and the Georgia Farm Bureau. Enjoy excellent shopping and dining at The Shoppes at River Crossing and Macon Mall - both within five miles. 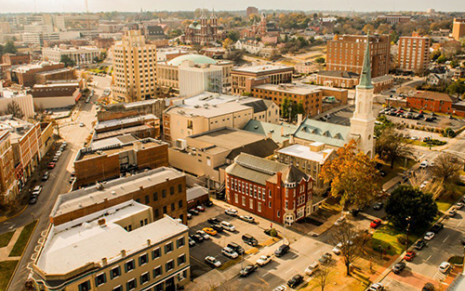 Or explore historic downtown Macon, just minutes away. Here at our hotel in Macon, GA, you'll enjoy spacious rooms with one king-size or two double beds, ample work desks and complimentary high-speed Internet access. Start your day off right with a complimentary expanded continental breakfast featuring fresh hot waffles and delicious breakfast sandwiches. Spend the day golfing at nearby Oak Haven Golf Club. Relax in our outdoor pool and whirlpool or burn calories in the fitness room. Few Macon, Georgia hotels can top our warmth and attention to detail, so make a reservation today!